Also includes some unique listening angles, single stomps & slides, and a couple of track preparation machines. Techniques: Stereo ORTF – Equipment used: Sennheiser MKH8040ST, RME UC(preamp) and Sony PCM D50(recorder). 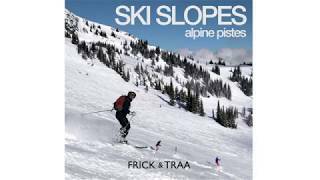 A superb collection of quiet alpine ski slopes and realistic onboard ski and snowboard recordings. The Alps pistes are known for their great snow and peaceful ambiance. We captured the calm atmosphere and expressive whooshing and carving on these quiet ski slopes. Recordings range from high speed alpine skiers and distant voices of snowboarders, to a small class, on a variety of pistes. We also recorded onboard the ski lifts and crowds while waiting in line. More info on how this library came together on our blog. The library consists of a broad range of Alpine ski slope recordings. In the winter of 2014 in Northern Finland, SFX creator Pasi Pitkänen threw over 250 snowballs onto thirteen different surfaces with a lot of variations. This collection has everything you need to recreate that snowball fight scene in your project or if you are just looking for some nice textures to enrich your impact sounds. From the snow-covered slopes of Mammoth mountain, to the ice-filled shores of Duluth, Minnesota, this library brings together some terrific subzero sounds for your next snow-themed project. With ski and snowboard bys, chairlifts, cold winds, and even melting icicles, this is surely a collection you don't want to miss. Recorded with the stunning Sennheiser Ambeo microphone, each ambience is delivered in both AmbiX and FuMa formats, as well as Stereo, 5.1, and 7.1.